Discussing issues with Panasonic brand cordless phones. Why does the #1 button fail on the KX-TGA400b phone?? The reason the keypads break is because the silicone rubber pad was not baked enough during manufacture at the factory. This leaves behind oily deposits that will seep slowly out of the keypad every time a button is pressed. This is more common than not and very difficult to identify in R&D for product development or in quality control because it takes time (not just force) to move the oil out of the rubber pad. The kx-tga400b / kx-tga200b models had large thick rubber buttons with plenty of oil… but that’s not the only problem. The circuit board contact pattern requires a 6mm diameter conductive pad but the keypad was made with only 4mm pads. Even when new the conductive contacts were only a hair’s width from not working at all! It was a poor design and I’m not sure how or why it passed unnoticed at Panasonic. Why the #1 key and not so much the others? Turns out it is the way most people hold the phone and dial using their thumb. They have to reach farther with the finger to dial other buttons but the #1 is right there and maximum pressure is applied to that button. More pressure (even slightly) means more oil over time! The other Panasonic models since then (such as the KX-TGA450b that replaced the 400b) have used thin rubber pads with a plastic key cap. This reduces the oil problem… but not ALL the buttons used this technique. In the 450b now it’s the TALK and OFF buttons that stop working eventually. But it does take longer than 6 months because the circuit board contacts were designed correctly in the 450b. I have been repairing Panasonic cordless phones and designing keypad repair kits for many years. I probably personally repaired over 3000 of just the 200b/400b models….. and still counting up, just slower now. Hello, this is Ben from P1Repair.com talking about…. 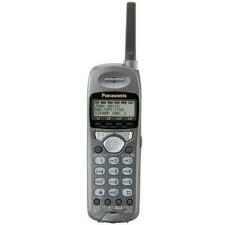 I have been repairing Panasonic cordless phones for over 6 years. 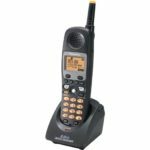 Before that I was in the telecom repair business since 1992 repairing business class high level desk phones for companies all over the US and Canada. 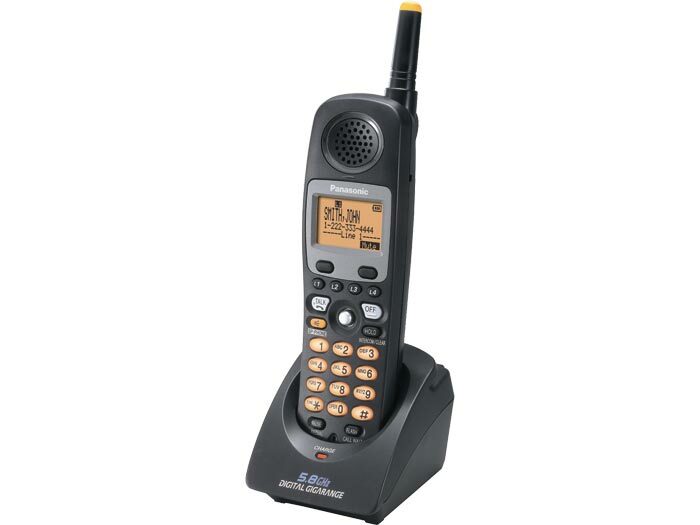 I got into Panasonic cordless phones when the KX-TGA400b model was discontinued by Panasonic. The phone was very popular and the keypad had significant flaws. 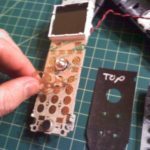 I had been designing membrane keypad repair parts for desk phones for years so adapting it for a cordless phone was simple. 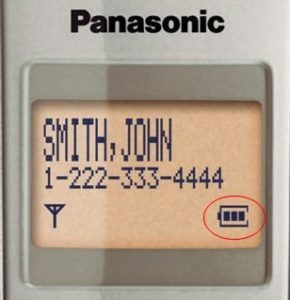 The Panasonic KX-TG4000b phone system was later replaced by the KX-TG4500b. Panasonic learned a little from their mistakes with the keypad in the 400b. The new keypad design for the KX-TGA450b did have improvements but was far from indestructible. While the 400b had problems with all the number keys, the kx-tga450b generally only has issues with the TALK and OFF buttons. That is because more silicone rubber was used for those buttons. To speed up production they don’t cook the keypads long enough at the factory and the oils eventually seep out and clog up the button contacts. That was one of the main issues with the 400b model and is still the issue today with the 450b model. The membrane keypad I designed repairs all the buttons and blocks any new oils and contaminants from reaching the circuit board contacts. Membrane keypads are made of several thin layers, usually with at least a spacer layer and a conductive layer. Many membrane keypads employ additional rubber or plastic key caps to give the button a more traditional look and feel. My membrane turns the original Panasonic rubber keypad into a membrane keypad with rubber button cover. From the outside you cannot tell the difference but on the inside you have all brand new conductive contacts! The new carbon material contacts cannot wear out like the original carbon rubber buttons and they are also sealed away from any particles or oils from the rubber pad itself! 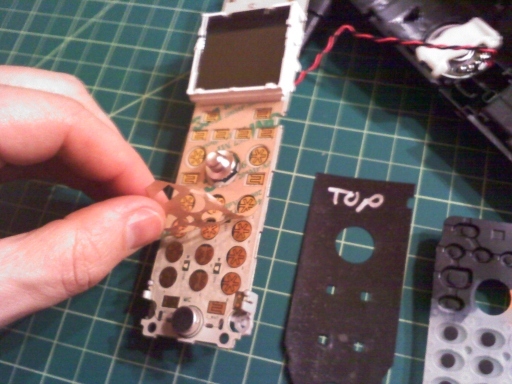 I have installed thousands of membrane keypads in different model phones and hundreds in the KX-TGA450b model phone. I have also sold many more self-install membrane repair kits for the KX-TG4500b cordless handsets. Custom designed and laser cut specifically for the Panasonic KX-TGA450b phone, nothing else comes close for dependability. They may not look like much but they do more than just get the job done. Choppy transmit only effects the transmitted radio signal. You cannot hear the problem in the phone that is broken. It’s easy to assume when you hear a problem that the device you hear the problem in is the cause… but that’s not the case most of the time with the KX-TGA400b series phone. Also… you can go unaware of any issue at all for a very long time, unless someone on the other end of the call starts to complain. The problem usually starts with some pops and clicks. As it progresses small bits of words will be left out and your caller will have difficulty understanding what you are saying. It will continue to worsen and eventually your phone will start to lose connection to the base and you will be presented with an error on the LCD asking you to move closer to the base. The problem is caused by a very picky RF module (that’s the Radio Frequency module BTW)…. and there are many causes ranging from bad connections, broken solder, cracked tracings, corrosion from exposure to liquids or high humidity (sometimes form many years in the past), and even bad batteries. Some of these problems can be very difficult or even impossible to locate and repair. The RF module is a multi-layer PCB daughter board held down by dozens of solder points and electronic adhesive…. it’s extremely difficult to replace and the only source for replacements are from other phones (meaning you have to remove it twice!). Luckily the most common issues do not require replacing the module itself. The first thing the owner should do is try a different battery and make sure it’s fully charged. If the problem only happens after the phone has been in use and off the charger for some time then it may just be a bad battery. How can you tell?? After all, you cannot hear the problem in the cordless phone remember…. What you need to do is make an intercom call to the base station (Intercom then 0). Put the base unit in speakerphone and just place the cordless phone on the table. If you hear pops and clicks over the base speaker then the RF module is having connection issues. If you want to get even fancier, try using headphones from an MP3 player near the cordless phone microphone so you can listen to some tunes over the base phone’s speaker. 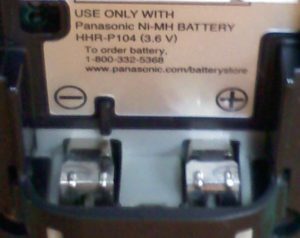 Is your Panasonic cordless handset going dead? Resetting? Does the screen go blank for a few seconds then give you an error to move closer to the base? Typically this happens only at the most inconvenient of times… (while you are using the phone of course!) Most phones with this problem will work just fine as long as you leave it alone on the table or in the charger where it’s as useless as a glass of sea water in the desert. So what’s the deal? Unfortunately this is a very common problem in many models of Panasonic cordless phones. It is caused by a drop in available power to the phone. It’s more likely to happen when the phone needs the most power (when on a call) and when the phone is being moved (as you handle it during a call). Open up your battery door. Does the battery just clip in without any wires or coiled springs? Are there just two metal flat contact plates for the battery connection??? Like this….. This type of battery connection works fine with a new battery… a properly designed battery… and new metal contacts free of dirt or oxidization (at the peak of their conductivity potential). After a few years of use, maybe with an older battery or an aftermarket copy… your phone is very likely to experience this power issue problem. The flat contacts are not a very powerful spring and under a microscope the flat metal plates are only touching in a few tiny locations. All the battery power running through one area causes oxidization and reduced conductivity…. and as you jiggle the phone (in normal use) the battery can bounce ever so slightly causing an additional drop in moving electrons. Old batteries do not help the situation. Your phone is just guessing when it’s telling you the battery is fully charged. There is no easy way to test a battery and these phones do not have the circuitry for any more than a guess that relies on how long it’s been in use vs. how long it’s been on the charger. Old batteries have less force to push out those electrons and there is just no way for your phone to alert you to the problem. To make matters worse…. the poor battery connection doesn’t help the life of your battery. A poor connection can cause the phone to charge the battery when it does not need it. Over-charging is bad… not horribly bad… but over time it can really kill a battery. Also, never letting the battery fully drain to it’s potential isn’t so great for it either. Every time your phone resets because of a poor connection, it’s probably deciding that the battery is dead and needs a full charge, even if it just did that 15 minutes ago. You may even notice your phone getting warmer in the charger. Could it get any more confusing? It seems like a straight forward problem that should be easy to spot…. real world experience does not agree however. I’ve seen plenty of instances when one battery works fine in one phone but has power drops frequently in another. Swapping around batteries isn’t always a quick confirmation of the problem or validation of a good battery. Improving the contacts with springs doesn’t fix old batteries which can and do offer up the same symptoms all on their own. 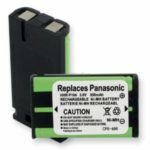 Even new batteries can be junk… poorly made… weak cells… old stock… defective… or even more likely –> quickly damaged by a malfunctioning over-charging, under using, poor battery terminal phone. What can you do about it?? 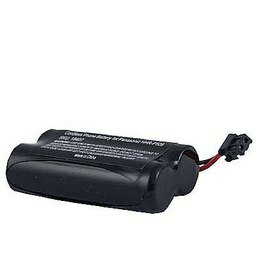 A new battery might help but really you need better battery contacts. At p1repair we install springs in every model that uses this type of battery contact. We tried other solutions, like beefing up the contacts with added metal… copper fiber…. conductive glue… even lead. They all helped a little but they did not solve every issue or last reliably. Do you have a dead Panasonic KX-TG4500b base station? The #1 cause of a dead base station is the power supply. The new switching power supplies are more energy efficient and they can provide more power in a smaller package than the the old transformer type wall-warts. The downfall is they break far more easily. This problem is rarely ever seen in the older systems that use transformer type supplies. 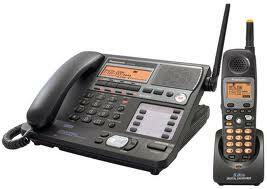 In this model (the 5.8gHz KX-TG4500b) the same power adapters are used for both the base station and the small cordless handset charger stands. Try swapping the power supply and see if that solves the problem. If it does, that should get you by until you can locate a replacement power adapter. For a replacement you can use either a switching power supply or an older transformer type. If you have a choice I recommend the transformer type as they rarely ever break. You need to know 4 things to match up your power adapter. Amps (A, mA, or watts) needs to be the same or higher. Amps is the available power and the device will only use what it needs at any particular moment. You can replace a bad 9v 500ma (that’s half an amp) with a 9v 2A (2 full amps) but not a 9v 250ma (quarter of an amp). Watts is just (amps x volts) so if you are using the same voltage supply then you just need the same or greater wattage power supply. Most power adapters list power in amps. Plug size is important. If it’s wrong your adapter will either not fit or it will be too loose and cause problems. Typical sizes are 5.5mm x 2.1mm and 5.5mm x 2.5mm. It’s hard to tell the difference by eye and most power supplies are not labeled so it can be difficult to match. Plug polarity is also very important. With these typical barrel plugs it will either be center positive or center negative. There is almost always a little diagram on the label showing a + and a – with lines pointing to the center of a circle and another to the outside edge. This needs to match on your replacement supply. What if it’s not the power adapter? The next thing to try would be the reset button on the bottom of the phone. If that does not help I’m afraid you’ve run out of options and it will either have to be replaced or sent in for repair. The Speed Of Light…. Nope!